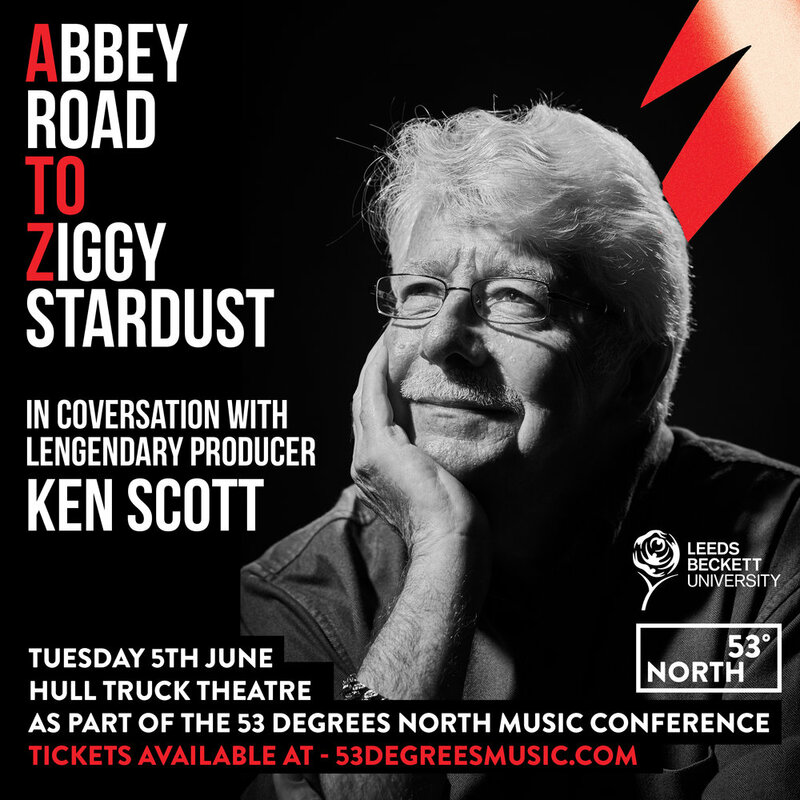 Following the enormous success of 53 Degrees North in 2017, Hull’s leading industry conference returns with even bigger and bolder ambitions of bridging the gap between the London-centric industry and The North. The conference will take place over two days at Hull Truck Theatre on 5th and 6th June and blend cutting edge music panels, master-classes, engaging keynote speakers, networking opportunities and exciting live showcases for all attendees. 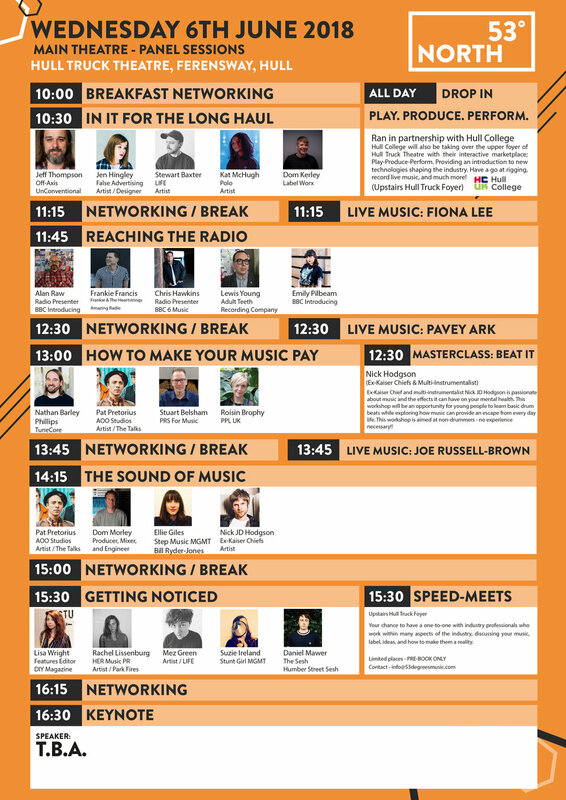 This year's event will host the likes of Nick Hodgson (Kaiser Chiefs) and Ken Scott (engineer/producer to the like of David Bowie and The Beatles) alongside company representatives from DEEZER, BBC Introducing, DIY Magazine, Independent Venue Week, BBC Radio 6 Music and many more! Hull College will also be taking over the upper foyer of Hull Truck Theatre with their interactive marketplace; Play-Produce-Perform. Providing an introduction to new technologies shaping the industry. Have a go at rigging, record live music, and much more!